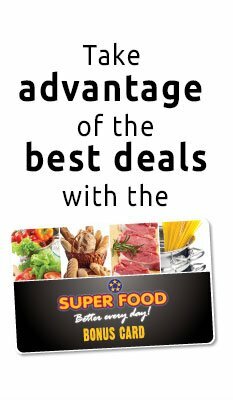 Super Food Plaza launches Big 5 Scratch campaign for the Holiday season! 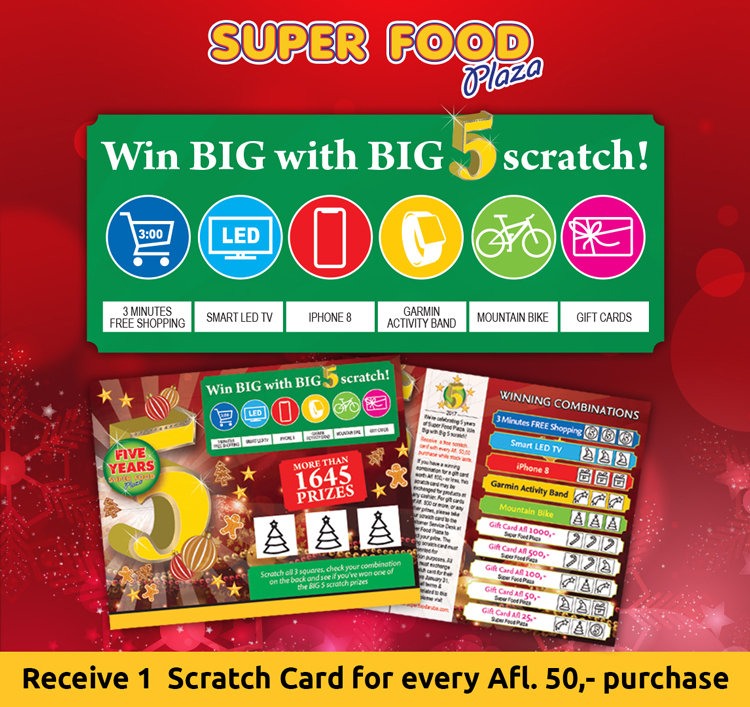 On December 1st, Super Food Plaza launched its Big 5 Scratch campaign for the holiday season 2017. 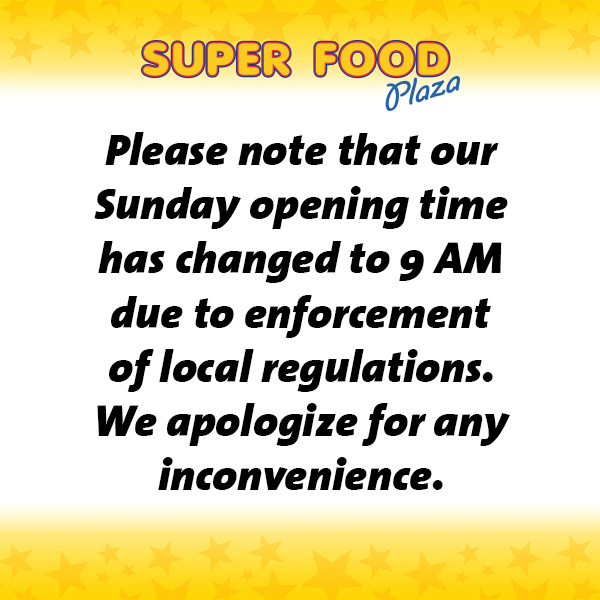 The Big 5 refers to the 5th anniversary of Super Food Plaza. Customers will receive a free scratch card for every Afl. 50 purchase during December. Scratch the 3 squares on the card and look on the back of the scratch card if you have a winning combination. This year, more than 1645 prizes will be given away during December. Prizes range from gift cards of different values up to 5 Garmin fitness trackers, 5 Iphone 8 smartphones, 5 Trek mountain bikes, 5 Samsung 50” 4K Ultra HD TVs and 5 free 3-minute shopping sprees. Scratch cards up to Afl. 100 in value may be exchanged for products at any cashier, but prizes over Afl. 100 must be claimed at the customer service desk. Customers may claim prizes from the Big 5 Scratch campaign until January 31, 2018.